Press kit designed for Greek designer Ioanna Kourbela’s fashion show, “Void”. 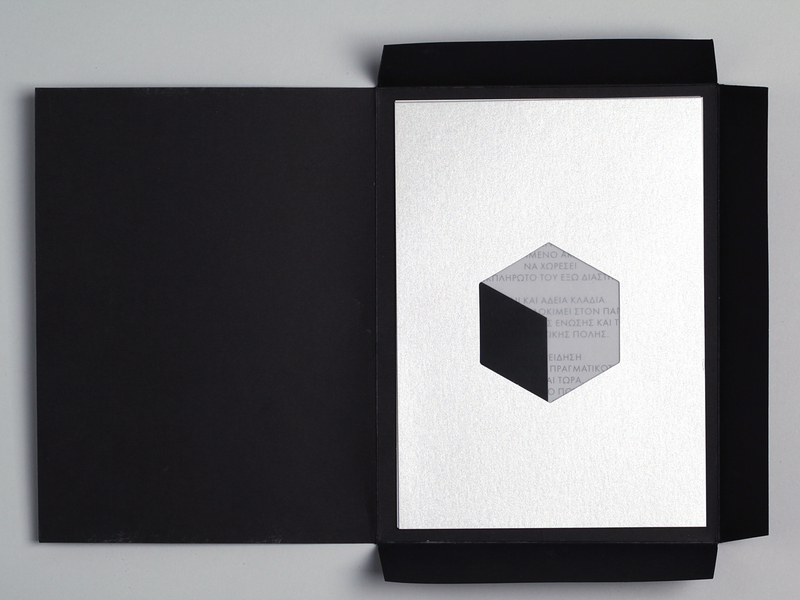 Four layers of different papers, placed on top of each other in a black envelope, create a minimal depiction of an empty cube. Art direction: Stathis Mitropoulos. Project undertaken by This is That creative office.